Storegga Mesolithic tsunami | Is there evidence in the Tees area? With the talk and excitement about evidence for the devastating tsunami on the Northumberland coast, I’ve seen a few search engine questions as to whether there’s evidence in the River Tees area and along the Yorkshire coast. Let’s take a look? There’s no evidence for the immediate post-glacial early Holocene environment (pre-Boreal) in the bay area itself, or at least it’s neither reliable nor extensive and more likely to be from indirect contexts. Pollen records and increasing evidence for periodic burning events, assumed anthropogenic engagements with the environment (and postulated management of it), come from radiocarbon-dated sediments that survive from the mid- to late-Holocene, i.e. the later Mesolithic (Boreal) onwards. 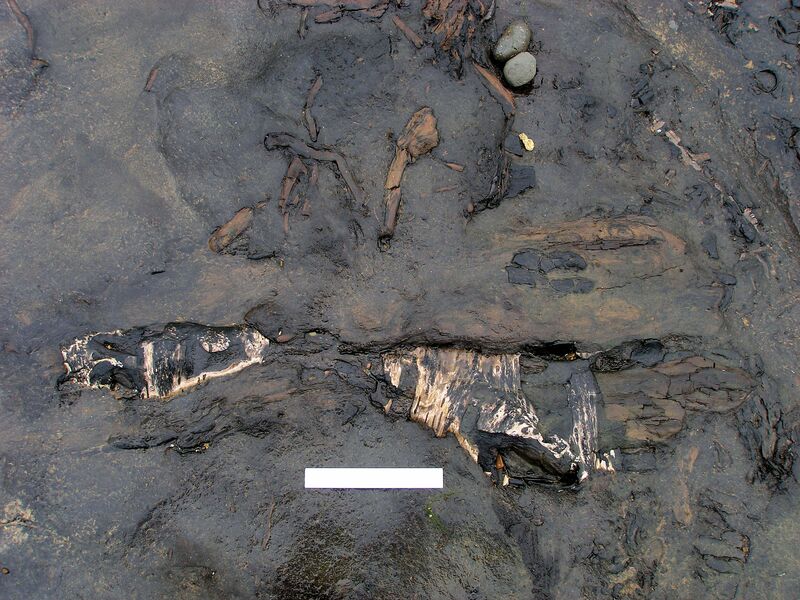 However, it is more than likely that earlier deposits exist further offshore—some early and potentially “anomalous” radiocarbon determinations, including red deer antlers, hint at peat displaced from earlier deposits that are sometimes encountered by fishing trawlers. “Early” Mesolithic flint finds, documented in the early 20th Century by Trechman and others, are also questionable. That said, there does seem to have been episodic later Mesolithic human presence in what appears to have always been a wetland environment—fen edge, saltmarsh, mudflats, freshwater and sometimes brackish lagoons—with three palaeochannels flowing towards the sea. This would have been a resource-rich environment. 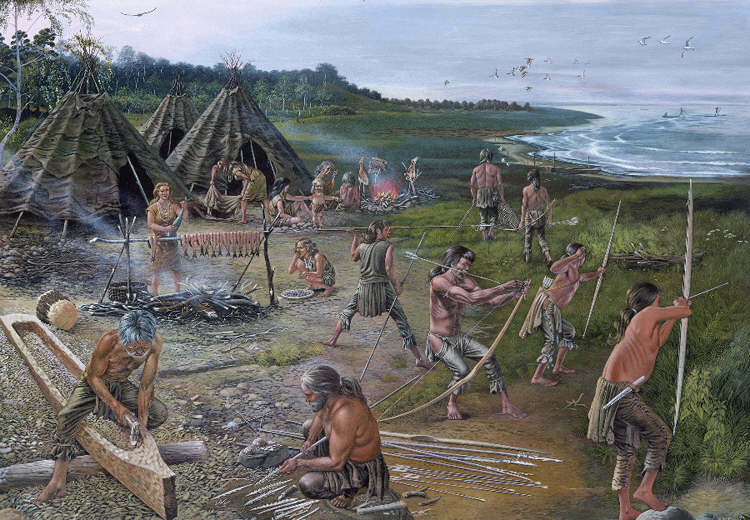 Mesolithic archaeology | Displaced peoples? Waddington, C. (ed.) 2007. Mesolithic Studies in the North Sea Basin, a Case Study from Howick, North-East England. Oxford: Oxbow. Waddington, C. & Pedersen, K. (eds) 2007. Mesolithic Studies in the North Sea Basin and Beyond. Proceedings of a Conference held at Newcastle in 2003. Oxford: Oxbow. Bottom: A tiny Late Mesolithic “narrow blade” microlith (burnt) | scalene triangle ◊ Would you even see it after mounting in an arrowshaft with resin? 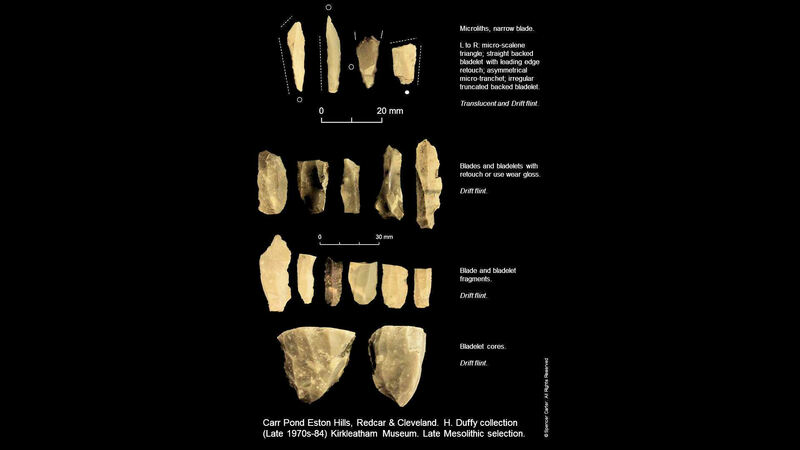 A majority audience now interprets these environmental changes, inferred societal impacts, and the physical dislocation of Britain from its neighbours, as the (or a) catalyst for the change in Later Mesolithic lithic technologies—from “broad blade” to “narrow blade”. Evidentially, this includes a diminution of lithic toolkit component sizes (armatures for projectiles or otherwise) related by some to shifting raw material availability and procurement strategies (risk mitigation) against an intensification of vegetation cover (climate), hence commensurate changes to game and resource availability (food)—”one arrow tip won’t do”. One might argue for a shift in subsistence and mobility—encounter by manipulation and repeated habits in the Late Mesolithic versus intercept by observation, strategy and pursuit in the early. The arguments are complex, served by poor data, and unresolved, while the absence of sufficient dating evidence compounds a latency in shifting the debate forward. What is apparent is a postglacial, post-recolonisation “filling in” intensification phase that sees most ecozones at least visited, often re-visited, if not settled and inter-connected. To repeat, this is a highly contentious area for Mesolithic studies, not least in considerations of population and territory sizes. However, postulated theoretical (and wholly unsubstantiated) population densities of between 0.01 and 0.04 people per km² are banded around, suggesting only 7-800 people in North Yorkshire. 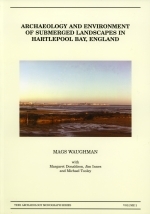 Marine proximity is an enduring feature of Hartlepool Bay at times of increasing sea levels through the Mesolithic followed by periods of relative marine “tendency”, positive and negative sea level states, that influenced the flora, fauna and human engagement with the wetland. The sea, marine tidal influx into the river drainage, had reached Thornaby-on-Tees in the lower Tees valley as early as 8400 BC. Fishing, for example, is suggested by the discovery of an alder-and-hazel wattle fence fragment and stake rows dated to the 4th millennium BC. Fluctuations in this sea level tendency occur throughout the Neolithic—especially around the Mesolithic-Neolithic transition, Elm/Lime decline around 5100 BP and the inception of dune-building during a negative tendency phase—and into the Bronze Age and later prehistory. Mean sea levels are difficult to derive due to differential land warping and recovery after the last Late Devensian glacial episode. While Hartlepool sits close to a central axis in Britain where uplift (Scotland) or subsidence (southern England) appears to have been minimal, the effects of peat and sediment compaction (and erosion) make correlations between samples and lithostratigraphic cores a challenge, mitigated by the availability of radiocarbon ages from organic strata. Nonetheless, sea level history for the Tees estuary is reasonably well understood: there is a rise of c. 4m since the 6th millennium BC and 8m since the 10th millennium BC. Storm surges are a devastating if infrequent occurrence in the North Sea. Yet we only have to look back to the 1953 flood to see how they occur and what enduring impact they have. Both Hartlepool Bay and the Tees Estuary (the last major river system before the Humber to the south) are separated by rocky outcrops and so have different stratigraphic sequences that are difficult to compare. However, both zones offer evidence for high-energy marine events throughout prehistory, and that may include the Storegga tsunami in sediments beneath the Tees. There appears, at -8m OD, a marine transgression recorded in a single pollen profile at around 8,200 years ago (and see below). A silty-sandy limus (detrital muds) at greater depth nearby yielded a date of 8900-8100 cal BC (89.8% probability). Perhaps this transgression represents the climatic cooling period around 6200 BC (the “8ka event”) that saw the collapse of North American ice sheets, disturbance of the Gulf Stream and rapid sea level rise? ◊ Gaffney et al. 2009, 112. In Hartlepool Bay, high-energy events are represented by coarse-grained clastic material and marine diatoms laid down as sand layers over the usual fine-grained silts, clays and humic sediments in the coastal zone. The earliest event in Hartlepool is dated to 6180±100 BP (Q-2660) 5289-4846 cal BC (95% probability). A second and powerful event, likely breaching the dune barrier, is recorded at 4920±40 BP (Cams-60856) 3774-3644 cal BC (95% probability). But these are both too young to be the Storegga slide event, estimated at around 6100 BC. However, a storm surge or “even more powerful event” is represented in the lower Tees estuary in engineering bore hole records as “grey micaceous sand and sub-angular gravel beds interrupted with alluvium at six to eight metres below ground surface”. Could this be the tsunami layer? The effects must have extended this far south, perhaps even accentuated by the funneling effect of the north-east coastline and the Tees embayment? Further south, the Yorkshire coast is characterised by lofty cliffs of Jurassic sand/mudstones and shales that may not have eroded as far as previously thought. 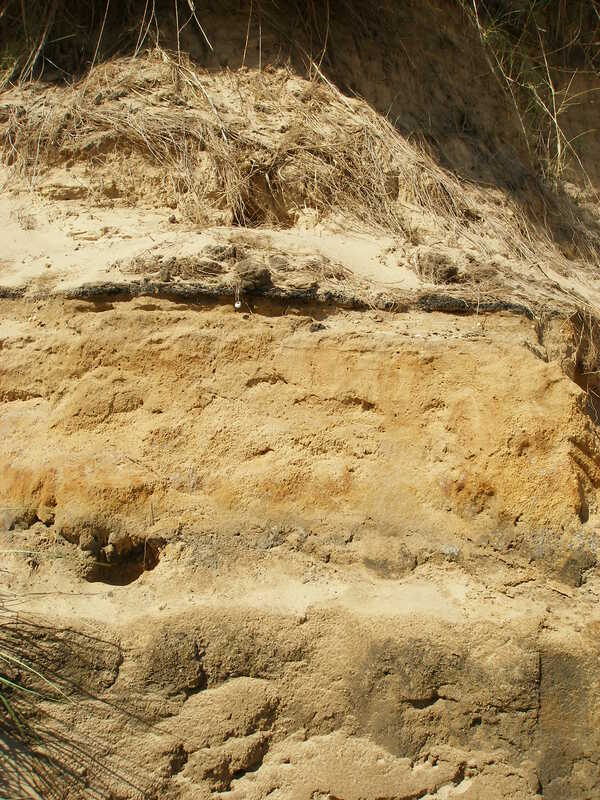 However, extensive boulder clay accumulations—as evidenced immediately north of Whitby, south of Scarborough and southwards beyond Holderness in East Yorkshire—will have existed after the withdrawal of the Late Devensian ice sheets that emanated from Scandinavia and created ice-blocked lakes in the Tees estuary and the Vale of Pickering. There will have been (and there still is in places) a boulder clay and lowland “buffer zone” of sorts shielding the Yorkshire coast as we know it today, but perhaps not the river channel inlets such as the Esk, from the effects of the tsunami. The “grey sea” off Scarborough, even today, is evidence for clay beds that still remain offshore, if you should risk a chilly dip. Edwards, K. 2004. Paleoenvironments of the Late Upper Palaeolithic and Mesolithic Periods in Scotland and the North Sea Area, in A. Saville (ed.) Mesolithic Scotland and its neighbours, 55-73. Edinburgh: Soc Ant Scot. Gaffney, V., Fitch, S. & Smith, S. 2009. Europe’s Lost World. 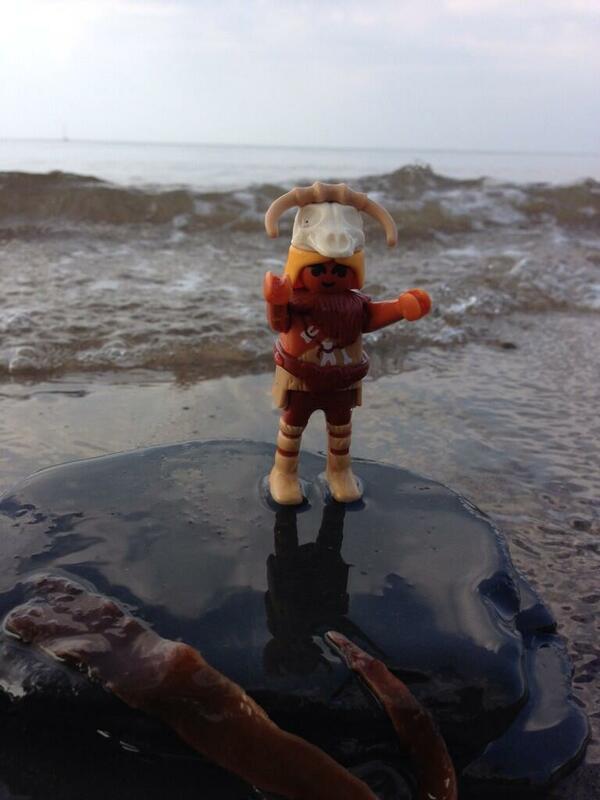 The rediscovery of Doggerland. 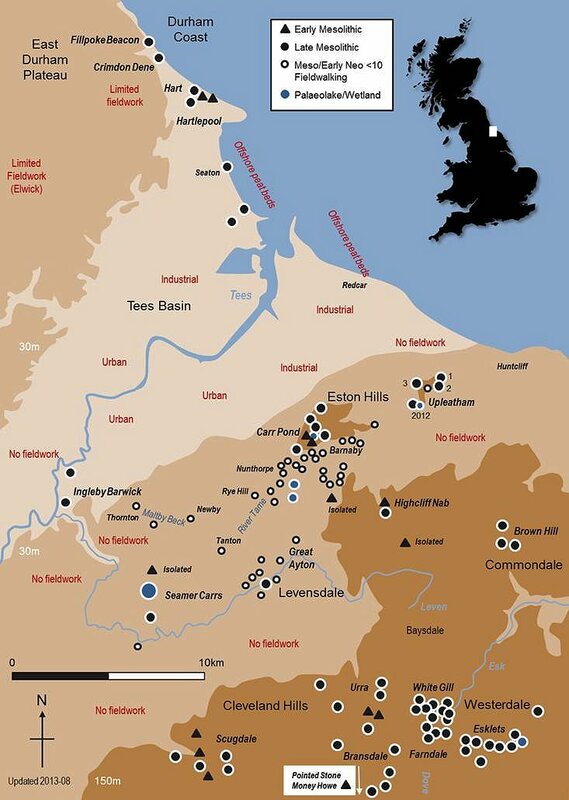 York: Council for British Archaeology (Research Report 160). Gaffney, V., Thomson, K. & Fitch, S. (eds) 2007. Mapping Doggerland. The Mesolithic Landscapes of the Southern North Sea. Oxford: Archaeopress. The Hartlepool peat beds have yielded more evidence from later prehistoric periods. In addition to Mesolithic red deer antlers and ungulate footprints including aurochs and elk, there’s an early Neolithic human skeleton posited as a bog burial, a stone axe and fragments of Cumbrian origin (Langdale and Borrowdale), stake alignments and beaker pot sherds—all suggesting activities less related to settlement of these wetlands than their treatment as a place for more complex activities, depositions and social presence, between the sea and terrestrial locations further inland. The human remains recently exposed in eroding sand dunes at Crimdon Dene (and a skull fragment on the beach at Coatham, south of the Tees) suggest a pattern expressed more emphatically at the “island of the dead” burial cairn replete with stone cists (graves) at Low Hauxley as well as at Howick, both in Northumberland. The presence of animal hoof prints and palynological (pollen) evidence for maintenance of clearances, perhaps wetland pasture, paint a picture of a lush, productive yet volatile coastal zone always at the mercy of the great North Sea. Please note that the peat beds in Hartlepool Bay, around Seaton Carew, are designated as SSIs and are protected places by law. This is a fragile ecosystem of both ecological and archaeological importance. What is a microlith? Were they made by small people? 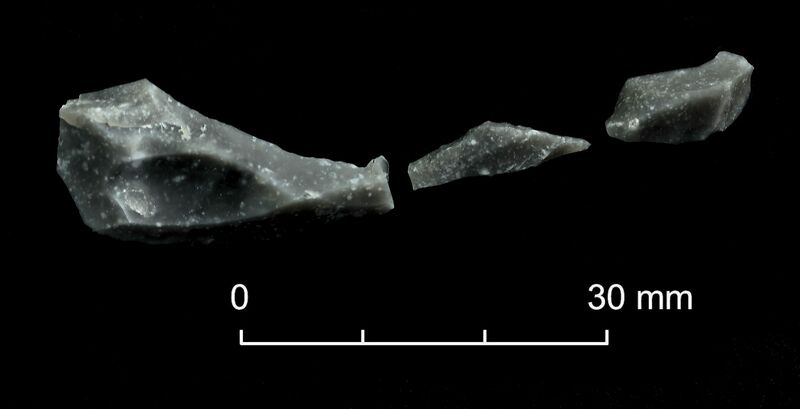 A microlith is an artefact made, in most cases, using the microburin technique which involves segmenting a lithic blade or bladelet (narrow blade <10mm wide). The segmentation can be by notching-and-snapping or just by snapping—each displaying characteristic facets (unless removed by further retouching) on the microlith and the discarded debitage. Segments may involve the removal of just one end of a blade (proximal nearest the point of knapping impact, or distal away from the point of impact), both ends, or multiple segmentation along a blade. Further retouch (fine knapping) is then used to modify the blank, into a limited series of forms, by blunting (backing), trimming or accentuating an edge, both edges, or a point (oblique truncation). Microliths are generally associated with arrows (as barb armatures and points) but are known to have other functions, whether designed for that function or expediently used for other (or multiple) purposes. They can be mounted serially in a bone or wood rod to provide a continuous cutting edge. In skilled hands, they are quick to produce, repair or replace as a “plug-in” component of a composite tool—and easy to carry in both blank and finished form. Finished forms vary from geometric triangles, trapezes, crescents, and segments (rods being entirely retouched along both edges) to more curvaceous or angular forms. 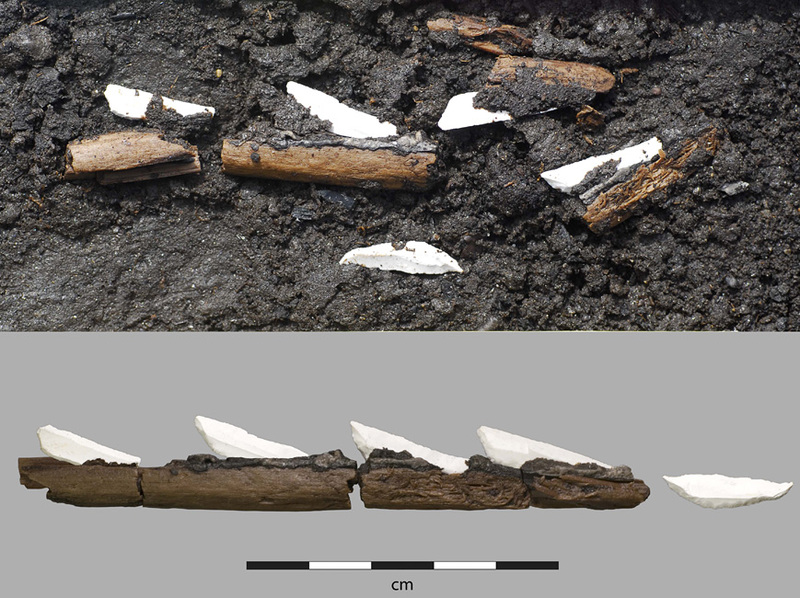 The microburin technique, and microliths derived from blades or bladelets, are characteristic (diagnostic) of the Mesolithic period in Britain. Early Mesolithic forms are generally on broad blades greater than 10mm width. In northern England that separates into Star Carr types which are squat, and Deepcar types which are more slender and often have leading edge retouch in addition to backing along one margin. Later Mesolithic forms are termed “narrow blade” or “geometric” on blanks that are less than 10mm wide, often as little as 3 or 4mm. 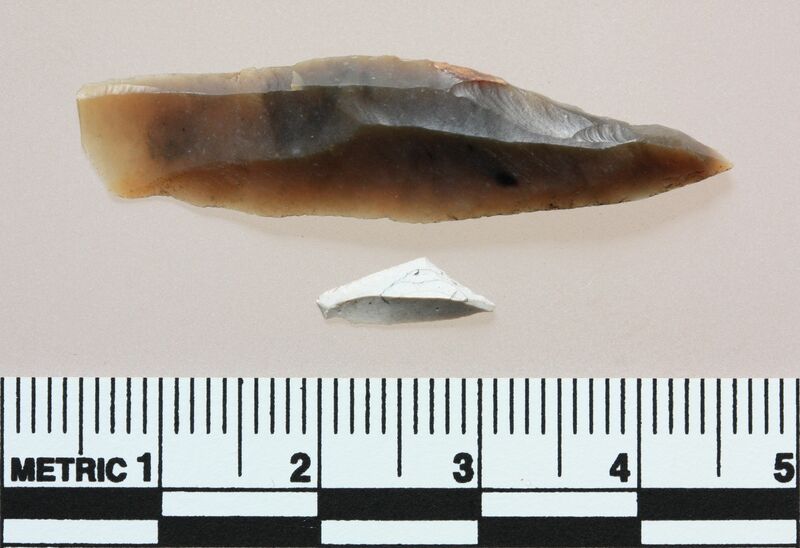 A broad range of lithic raw materials was exploited, dominated by flint which was often transported over many tens of kilometres, but also including cherts, rhyolites, agates and other materials that could be predictably knapped. Dates are expressed as BP: uncalibrated radiocarbon years before present | cal BC: calibrated radiocarbon dates at 95% probability unless otherwise stated (more info in the Waughman volume appendix 3). This entry was posted in Hunter-gatherer-fisher, Mesolithic, Teesside archaeology and tagged Hartlepool, Mesolithic, Neolithic, River Tees, Storegga, Storegga Slide by Spencer Carter. Bookmark the permalink. An excellent and detailed post, mind if I plug this post and your blog on mine with a brief post? What a fantastic post and very helpful references. As one of the themes of my PhD I’m currently exploring the effects of the tsunami on eastern Scotland, how this ‘trauma’ may have become embedded in the Late Mesolithic psyche (ultimately leading to a rapid and full adoption of the Neolithic package in eastern Scotland as opposed to a more gradual and selective Neolithisation in parts of western Scotland). 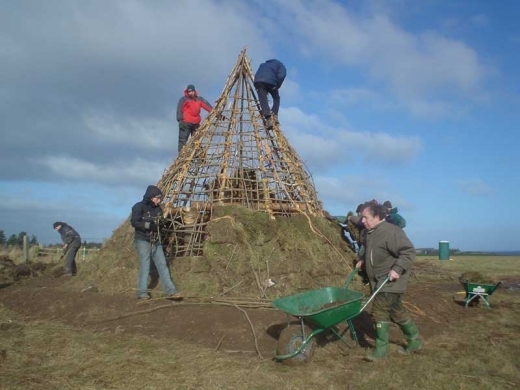 My colleague Dr Dene Wright (University of Glasgow) has highlighted the possibility of movement of Mesolithic communities from eastern Scotland SW and into England, as an after effect of the tsunami, taking narrow blade technology with them. This is one aspect I hope to explore further. Definitely an intriguing possibility! Thanks microburin, this post has been really helpful for my own research. May I reference your blog in my thesis? Hiya, yes please do reference – although microburin is semi-formal, sometimes light-hearted, humanising an often intractable, dry academic forest. If not already, look carefully at Clive Waddington’s Bayesian modeling of early “Late Mesolithic” dates too – it sometimes looks counter-intuitive, but offers a different outlook, testable too, than even a few years ago. There are juicy questions too around the nature and inception of a “neolithic package” and apparent latency, partial presence, topographic variance throughout northern England and Scotland – again with conflicting signatures. Above all, IMHO, a vastly increased radiocarbon database is needed, especially from what might be thought of, today, as “marginal” places. They often turn out to be more central than “Hollywood sites” that receive the majority of attention. So glad you found my palaeo-meanderings interesting – more to come, and hopefully sometimes challenging some legacy generalisations with granular detail that shows a far more complex human presence. PS, I’m at Low Hauxley (nr Amble/Warkworth) right now – the last week coming up before back-filling.